Heat oven to 400 degrees. Slice delicata squash into crescents by cutting in half (the long way), deseeding, and slicing roughly half an inch wide. Add delicata pieces to a medium-sized bowl and add coconut oil. Toss to coat. Add garlic, curry powder, and salt. Toss to coat. 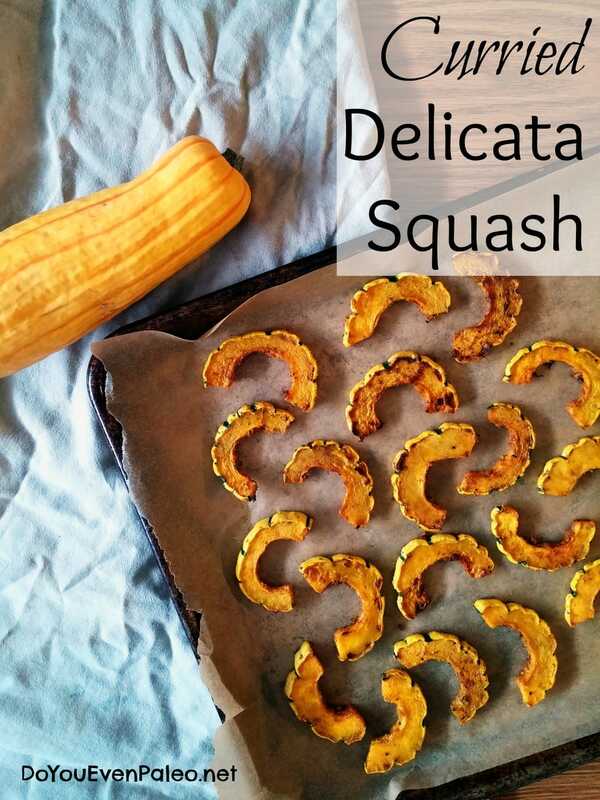 Lay delicata pieces in one layer on a parchment paper-lined baking sheet. Bake for 15-20 minutes or until cooked through.